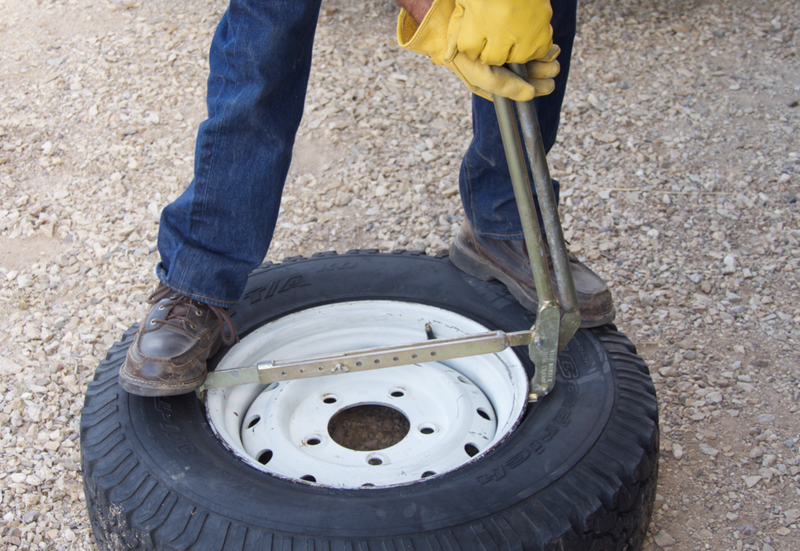 Carrying tools in a vehicle is always a balancing act. First you have to decide how many to bring. Do you go with some screwdrivers and a pair of pliers, or do you go the one-case-tool-kit route discussed here in the past, and wind up with a comprehensively stocked but 62-pound-heavy Pelican case? Then you have to decide how to carry them. A hard case such as the Pelican is durable and easy to secure, while a soft case saves weight and can be quieter. You can go with a steel chest with a top compartment and drawers, which is excellent for organization but very difficult to keep from rattling. That totals 15.4 pounds with the bag—not bad at all. And it has been working very well for minor repairs. However, it is near capacity. I could fit in a few cold chisels and a circlip plier, for example, but that would be it. If I wanted or needed to carry more tools I’d need another solution. Of course I could add another Blue Ridge bag, but I’d still be limited in my tool selection by things that simply wouldn’t fit—a hacksaw, for example, or my 18-inch 1/2” Snap-on ratchet, or a big no-bounce hammer such as the Park model here. Alternatives? A smaller Pelican case than the 1550 is an obvious and excellent choice, but I wanted to try something different. I’ve always been attracted to cantilever tool boxes. I like the elegant way they bloom open, and the organization offered by the trays, whether it’s a two- or four-tray model. Perusing the usual sites revealed lots of Chinese-made versions for under $30, but the innate complexity of a cantilever box made me leery, and one I inspected at a hardware store did nothing to relieve my prejudice. 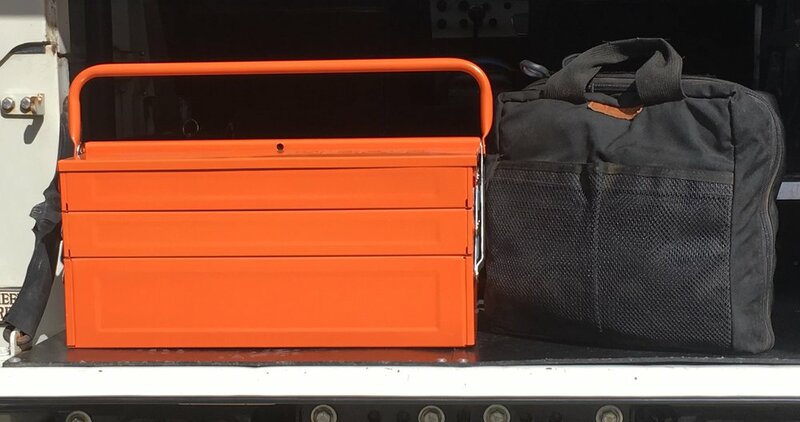 So I landed on an $80 Italian-made Beta C20 four-tray box on Amazon (“Tools not included”), in can’t-miss orange. I was impressed with the quality, which seemed a definite step up from the cheaper models. Compromises immediately became apparent compared to the soft case. Noise, chiefly—I could strap down the Blue Ridge bag so it barely tinkled; not so the steel box. 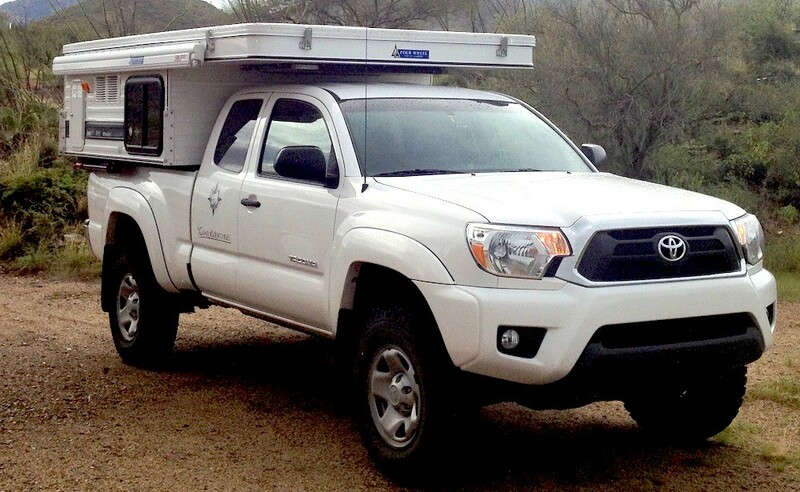 I’d need to use One-Wrap velcro straps to bind wrenches and things to cut down on the racket on a bumpy road with the box in the back of the FJ40 (in the bed of a pickup or elsewhere more isolated it wouldn’t be a problem). Weight was also an issue—with the same contents as the Blue Ridge bag it was eight pounds heavier. Since I always secure tool cases with a ratchet strap, I don’t consider the steel box to be significantly more of a hazard in an accident—you wouldn’t want to be hit in the head with a “soft” case filled with 15 pounds of steel—but it does need more of its own space, and could conceivably gouge other equipment if not packed carefully. On the other hand, the organization of those top trays is a wonderful feature: Grabbing frequently used tools such as screwdrivers or wrenches is easy. And the capacity is vastly up on the bag; my long ratchet, hacksaw, and hammer fit lengthwise easily, and the volume in the main compartment would allow me to carry significantly more tools if I wanted or needed to. It wouldn’t match the capacity of the Pelican 1550, but then I couldn’t stuff enough into it to match the weight either. So I call it a viable alternative for a mid-sized tool kit, and worth considering depending on your own needs. The four-tray cantilever box containing the tools from the Blue Ridge bag. Plenty of room left over. Okay, that might be a bit of an overstatement. But every now and then you come across a tool that does exactly one thing, but does it so perfectly that you wonder how you got along without it. In this case, the one thing to which I'm referring involves a fastener found, among many other places, on Land Cruiser carburetors. It's a near-microscopic springy bit known generally as a hair-pin clip, or colloquially as a Jesus clip (is it sacrilegious to use a capital there? )—either because some of them are shaped like the letter J, or because of the epithet used when one flies out of your grasp. On carburetors they're used to secure linkage rods by popping into a groove at the end of the rod. Removing and replacing them has always been a dicey proposition with needle-nose pliers or, slightly better, hemostats. Dicey because if one of these things pops out of whatever you're using to hold it, it's gone. A few months ago, our master Toyota mechanic friend Bill Lee was visiting, and while he was here he addressed some issues on the FJ40's carb. When he started disassembling the linkage he pulled this out of his kit: a simple plunger-activated rod with a tiny hook in the end of a tiny tube. The hook grabbed each Jesus clip and popped it off (and back on again) with effortless security. A groove in the end of the tube ensured the clip stayed straight, even when pushing it back into place. OMG. I had to have one. Except it turns out the company that made them, Lisle, discontinued part #46500. Little demand for fiendishly clever carburetor tools these days, I guess. I haunted eBay for weeks but failed to find a used one—until Bill visited again, and handed me one a mechanic friend, Jeff Bell, had given him. I'm going to be rebuilding my carburetor every six months just to employ this thing. Brilliant. Now it’s not so simple. Not only is there a bewildering array of brands available, manufacturing is now global. No longer does brand loyalty or even knowing the country of origin necessarily guarantee quality. Most Craftsman tools are currently manufactured in Taiwan, and it isn’t even Sears any more. Tool behemoth Stanley/Black&Decker now owns the Craftsman line, and Mac and Proto as well, plus the (formerly) British Britool, the (formerly) French Facom, the (formerly) Italian USAG, and the (formerly) Australian Sidchrome. Sheesh. You can’t just go by materials and manufacturing process. Socket sets from $19.95 Harbor Freight specials on up to apparently identical boutique assortments costing ten times as much advertise chrome vanadium steel and forged construction. There’s simply no way for a consumer to determine the actual composition or quality of the alloy. You might think you could at least trust the guarantee, but I’m not so sure. A chain auto-parts-store Torx bit I bought out of immediate necessity recently was made in China and has a lifetime replacement warranty. But is that because the tool is of such high quality that the company has confidence it will never fail, or because it is so cheap to manufacture that the company can afford to replace bits for the few people who actually stress and break them? I strongly suspect the latter. Sure, you’ll get a new tool free, but if it breaks when you’re attempting a repair 20 miles down a dirt track and 150 miles from the nearest outlet, that’s not of much immediate value. 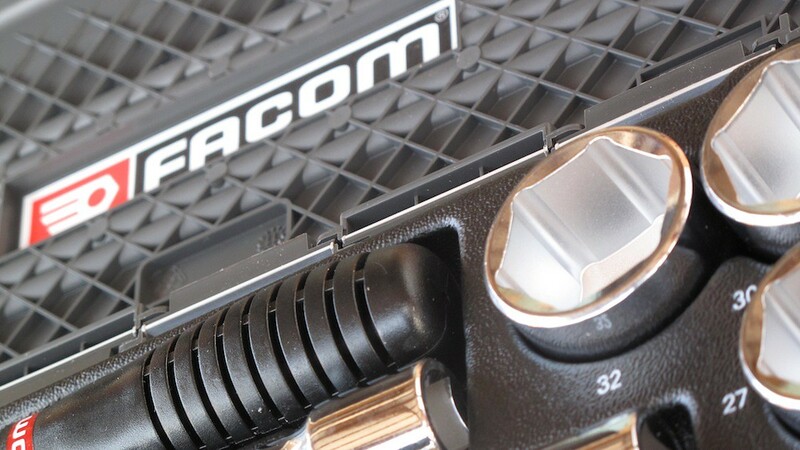 You can of course still guarantee superior quality by sticking to the ultra-premium makers such as Snap-on or Mac. Otherwise, I’ve gone back to a rather old-fashioned approach to estimating quality in a tool: I handle it and inspect it. That might seem flippant, but really, your eyes and hands can tell you a lot about a tool—particularly in the finish. As an example I give you the Britool SAE/metric ratchet and socket set I bought years ago. It was actually manufactured in Taiwan, but the quality was excellent. The finish was a perfectly even satin, absolutely consistent from socket to ratchet to extension. The roll markings on the sockets were crisp, as was the knurling on the extensions. The ratchet had a 72-tooth head, this requiring less swing to engage when working in tight quarters than one with fewer teeth. The extensions had hex fitting so you could apply a wrench if for some reason you couldn’t get the ratchet on it. A superb set of tools—and if I’d known then what I know now I would have bought ten of them, because soon Britool changed all their sets to blue-boxed “Expert” stuff that was a steep plunge off a cliff in quality. Thick, uneven chrome and much simplified accessories, clearly now built to a price rather than a standard. Can one help suspecting the same cost-control measures were applied where it isn’t as obvious? On the other hand, consider the 1/4-inch ratchet I picked up at a Napa Auto Parts the other day. It’s the chain’s own brand, Carlyle, aimed, they say, at professional mechanics. Manufactured in Taiwan, each piece carries a lifetime guarantee (although, importantly, I understand you must show the original receipt, unlike the similar guarantee offered by Snap-on, Mac, and even Craftsman). Ignoring for the moment the de rigueur Snap-on-esque handle shape also ripped off by a zillion other brands, consider that the Carlyle ratchet retails for 18 dollars, while the U.S.-made Snap-on item above it goes for a nickel less than a hundred. To be accurate, note that the Snap-on ratchet has a quick-release button; the equivalent Carlyle ratchet (which the store did not have on hand) lists for $25. So let’s call the Carlyle one quarter the price. In terms of finish, I could see absolutely no difference between the two. Both are fully polished, and the chrome is even and betrays no machining marks. The head on the Carlyle is actually a bit lower-profile than the Snap-on item, but that might be due to the lack of a quick-release mechanism. Each is rebuildable; Carlyle lists the kit number right on the ratchet. So far the decision of which to choose seems easy. However, differences become obvious with manipulation. First, the Carlyle ratchet has a 60-tooth head—not bad, but the Snap-on has 72, again, less swing in those tight spots. And Snap-on’s “Dual-80” head technology is known for its immense strength. Nod to Snap-on. Next, the reversing lever, which on the Carlyle is flat, sharp-edged, and rather stiff to operate, while the Snap-on’s rounded lever flicks back and forth effortlessly. Also, the Carlyle’s lever rocks a bit when moved, indicating looser tolerances, while the Snap-on lever simply pivots. Another nod to Snap-on. With the faceplate off each tool, the differences become more stark. Note, first, the significantly larger diameter of the anvil gear on the Snap-on (bottom here); then the dual drive pawls versus the single Carlyle piece. I’m not about to test a $100 tool to failure, but I’d be happy to bet someone more than that that the Snap-on would take far more torque before it failed. Even the lubrication was a contrast: The Carlyle seemed to have been anointed with a few drops of oil; the Snap-on was liberally infused with a light grease. So there is little doubt the Snap-on ratchet is functionally superior to the Carlyle, and certainly far more durable. The question is, is it four times better? I think the answer to that depends on your own situation and attitude. First, let’s be blunt: At least $25 of the extra price of the Snap-on is in that name and the status of those high-profile trucks. (I dream of winning a contest: Five minutes inside the truck; anything I can throw out in that time I get to keep.) But another $25 probably represents the extra cost of producing the tool in the U.S. Still, we’re left with a disparity. The Carlyle definitely offers a lot for the price. If you’ve brought out the tool kit far from home, something has already gone wrong. Why risk compounding the problem by using cheap tools to try to fix it? First: Spend the most on the most critical tools, the ones you’ll need for the most critical repairs, then economize on the rest. Top of the list is your ratchet and socket set. Second: eBay. I’ve haunted online auctions and snagged excellent deals, especially on sets missing one or two items, which I then shop for individually. Your local Craigslist can also be a good source. 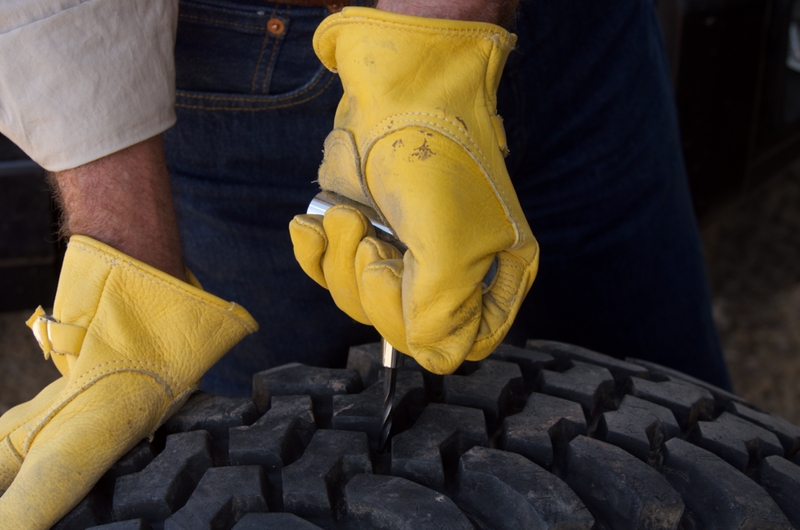 Since premium tools are the most durable, buying used is generally safe unless they have been seriously abused. Thus, the first items I chose for the One-Case Tool Kit Lite were the 1/4-inch Snap-on ratchet dissected here, and its big brother, a flex-head Snap-on FRLF80 3/8ths ratchet. I have sockets and extensions from the same company for each; however, I’m investigating some alternatives as less-expensive options.